There are times when we don’t know which way to turn. By praising the Lord we put thing back in place. Our burdens lift. Our heart becomes light once again. We do not serve an egotistical God. As C.S. Lewis once said when researching this subject, ” HE is worthy.” That is why we should praise Him. So let’s take our eyes off the problem and place them firmly on Him. 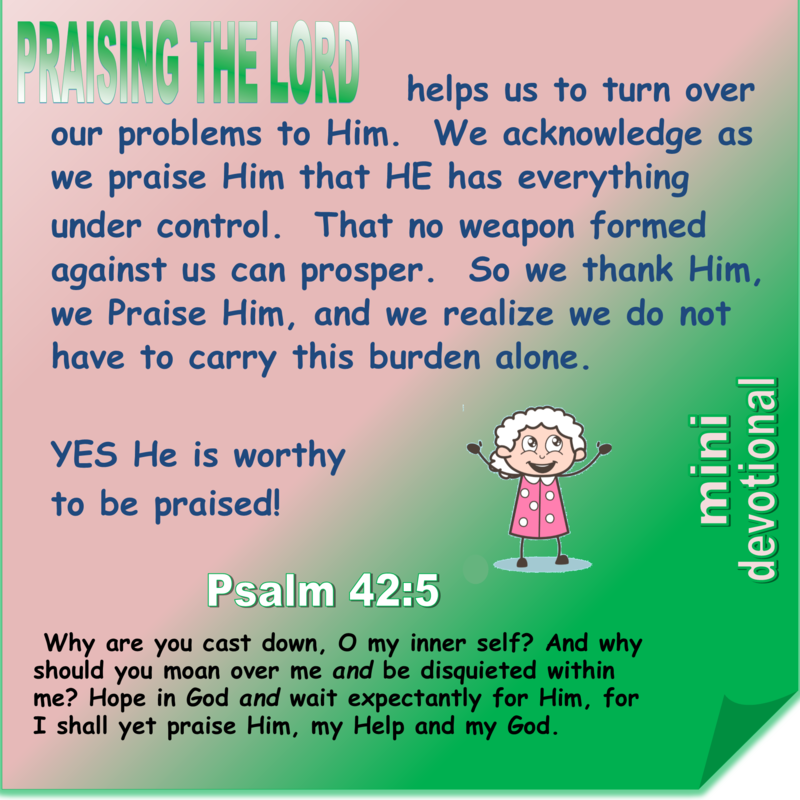 This entry was posted in Short Devotionals and tagged dearlanadee, He is Worthy, Praise the Lord, Short Devotionals, Your Friend lanadee. Bookmark the permalink.